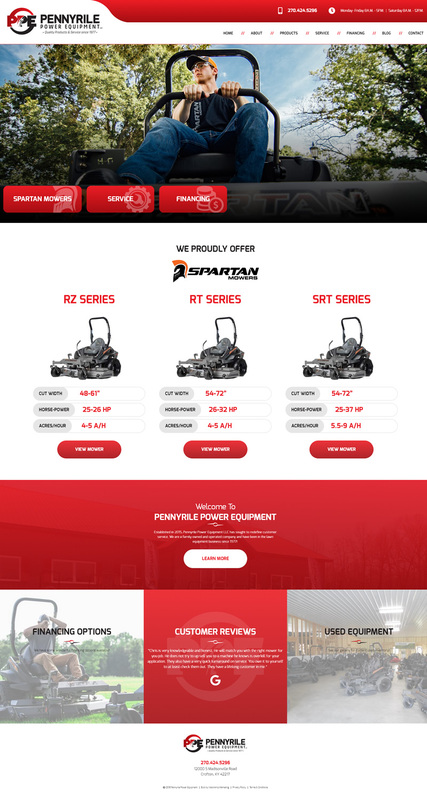 We took the site at Pennyrile Power Equipment from one single page, to a whole site! We gave them a nav bar to include all their products and services, and also blog writing capability to increase traffic and SEO results. The homepage includes eye catching imagery to promote the products and give customers a real idea of how their life could be improved with these products. Pennyrile Power Equipment is a faith based and family owned company that sells and services power equipment like Spartan Lawn Mowers, Honda Power Equipment, several other brands, and used equipment. They have financing options available as well!